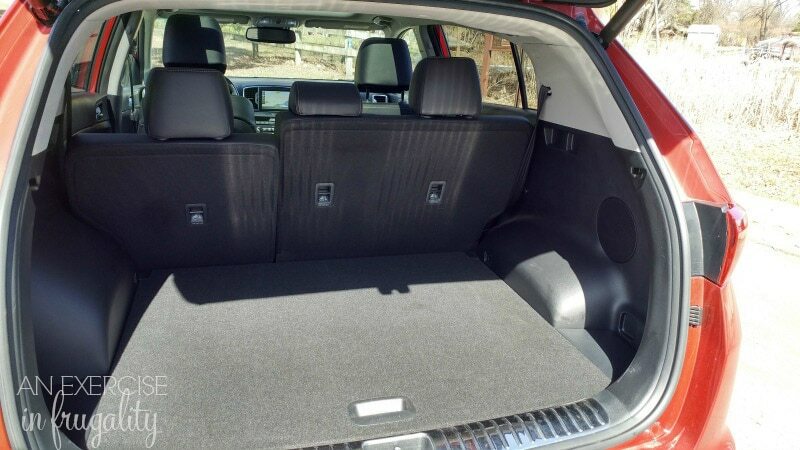 This Kia Sportage came to live with us for THREE whole weeks recently. I was really excited for this test drive not only because it was longer than usual, but because I have never driven a Kia before! Confession time: I didn’t know anyone who owned a Kia, and so I got a little judgey. I caught myself questioning whether they were reliable cars, but really I just didn’t know much about them. 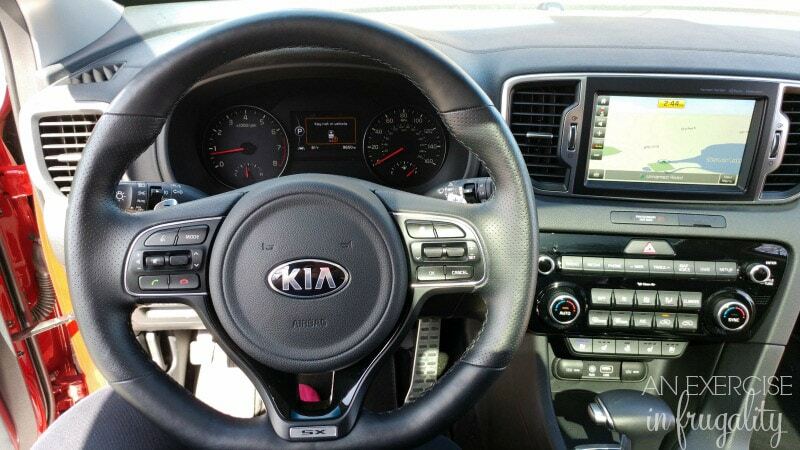 I then realized that Kia was winning awards from U.S. News and World Report for being the best car for the money in several classes, so I figured I should probably test drive them before I passed such quick judgement. J.D. Power also awarded the Kia Sportage Highest Initial Quality for small SUVs marking the first time a non-luxury brand has one this award in 27 YEARS. Spoiler alert: I could NOT have been more wrong in my preconceived assessment. 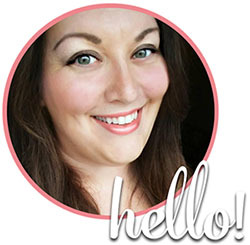 Consider this skeptic totally impressed. Now I know why their slogan is The Power to Surprise. From the moment I laid eyes on her Hyper Red exterior, I knew we were gonna have some fun together. As the driver who brought her to me was going over her features, I’m pretty sure I caught her winking at me. She was gonna show me a good time. And so we hit the road, driving around town. We moved back to Minnesota last December, but we moved to a different part of the metro area, so I still haven’t done a lot of exploring. We found a cute park with a little lake and I thought it would be a good time to have a mini-photo shoot. 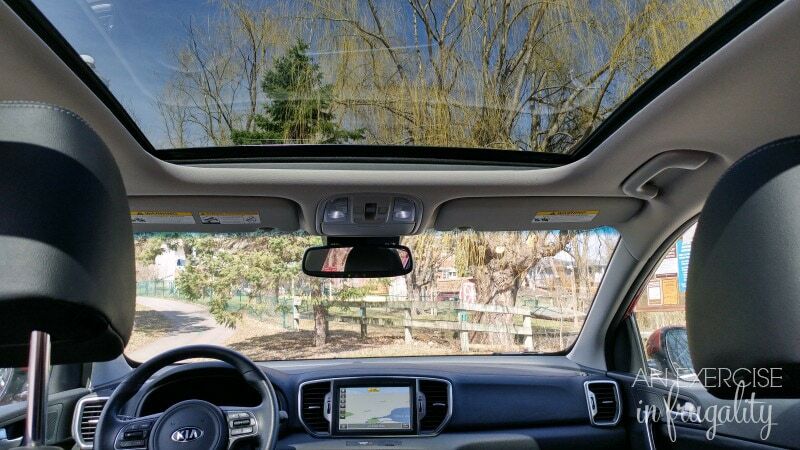 The sun was out, as it was for much of the time that we had with the Sportage so naturally I spent a lot of time with the panoramic sunroof open because, how could you not? I *may* even have squealed the tires once! She’s only 4 cylinders but that 2.0L Turbo Gas Direct Injection makes it feel like 6. She has some real “get up and go”. 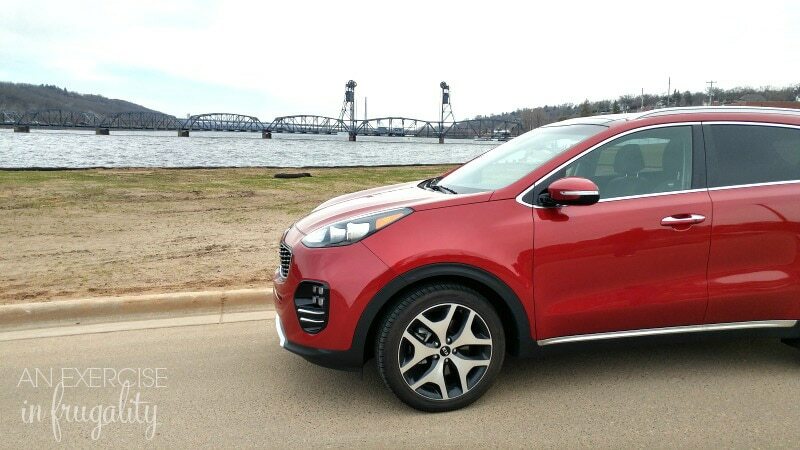 The Kia Sportage SX gets about 23 MPG (21 city and 26 highway) which is pretty average for a crossover SUV. I think my favorite feature though was the heated AND cooled power front seats and the heated steering wheel. It was only chilly one morning so I didn’t get to use that as much as I would have liked, but it was so nice hopping into a car with the seat warmer and steering wheel warmer on. I was so toasty I actually caught myself wishing it had been chillier so I could have gotten more use out of it. 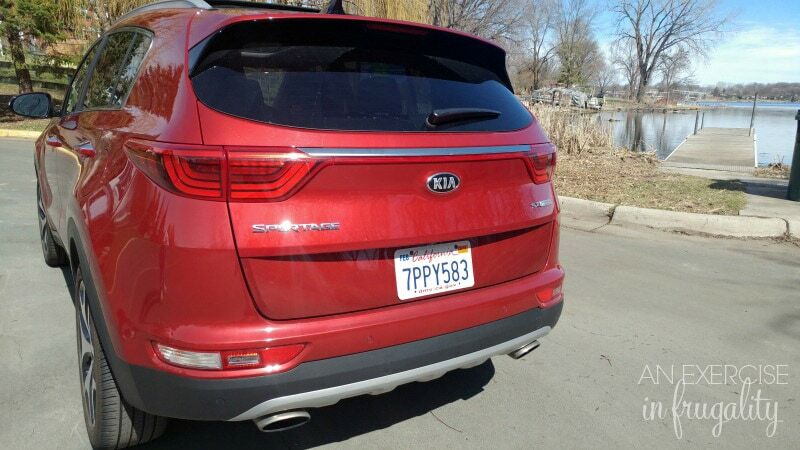 We wound up taking a few short day trips during our time with the Kia Sportage. 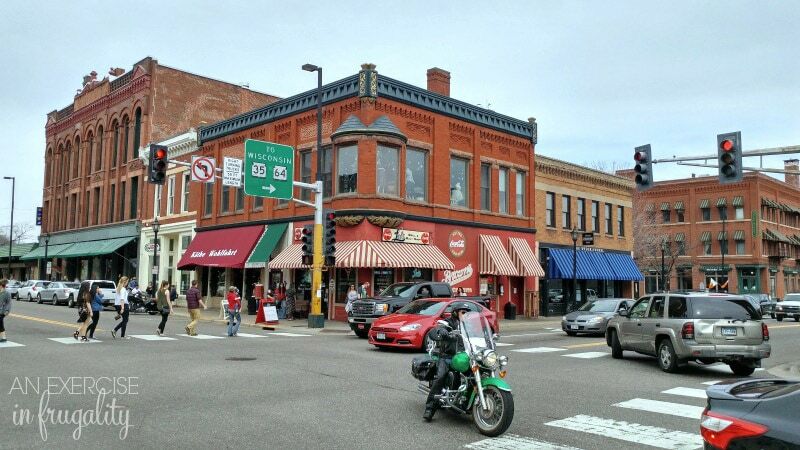 Our favorite was taking her to historic Stillwater, Minnesota. We drove her all around the gorgeous river bluffs, checking out all the historic homes and landmarks. This is the famous lift bridge on the St. Croix River. On the right side of the bridge is Stillwater and on the left side is Wisconsin (boo!). There were tons of people out even though the weather was not so great. We stopped in a few shops, including two vintage bookstores which were so much fun to wander and explore! 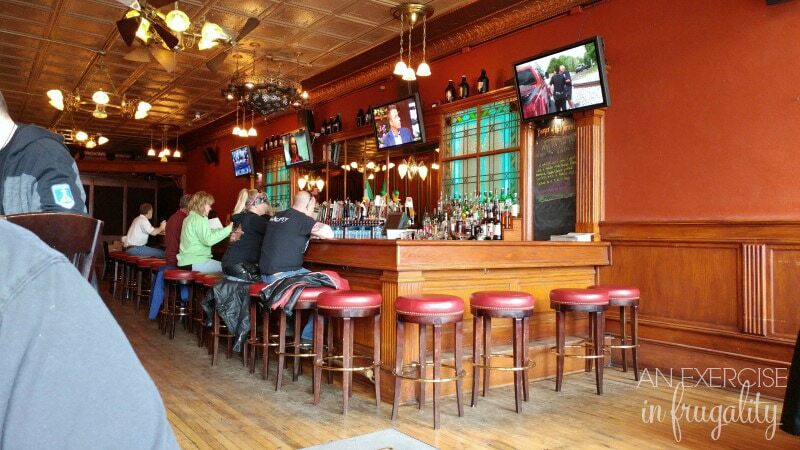 We also stopped for lunch at a cute little Irish pub where we had some unique tavern burgers for lunch. Once it started to rain, we decided to head back home, but we definitely plan on exploring more of Stillwater soon! Admittedly I was a little nervous driving a brand new vehicle that doesn’t belong to me in a tiny, historic town with crowded, narrow streets filled with people walking (who don’t always pay attention to walk signs!) but I gotta say once I realized the Sportage totally had my back with the lane departure warnings, rear back up camera and blind spot detection I knew I was in good hands. 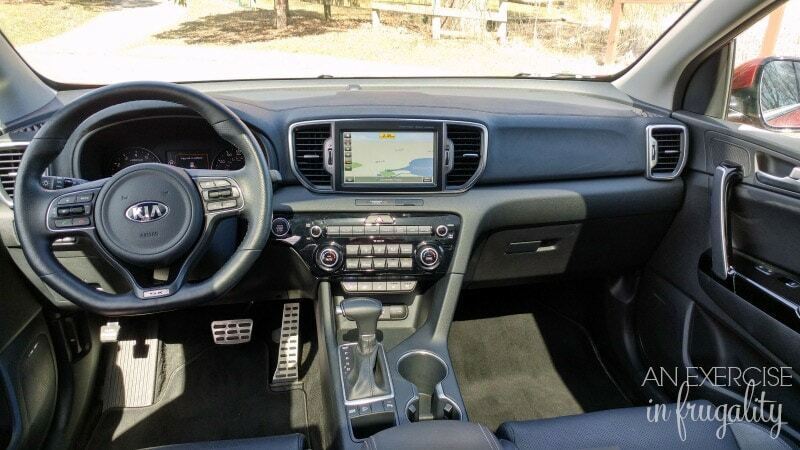 If the FUN features are more your speed, then you’ll love the paddle shifters, Harmon Kardon Premium Audio system (seriously one of the best I have heard in any of the cars I have driven), and the UVO 8″ Navigation with Android Audi and SIRIUS XM Satellite radio. And if you’re still skeptical after all that, know that the Kia Sportage comes with a 10 year/100,000 mile Limited Powertrain Warranty, 5 year/60m000 mile Limited Basic Warranty and 5 year/60,000 mile roadside assistance. It’s a great peace of mind to know that a company cares enough to stand by their product the way Kia does. 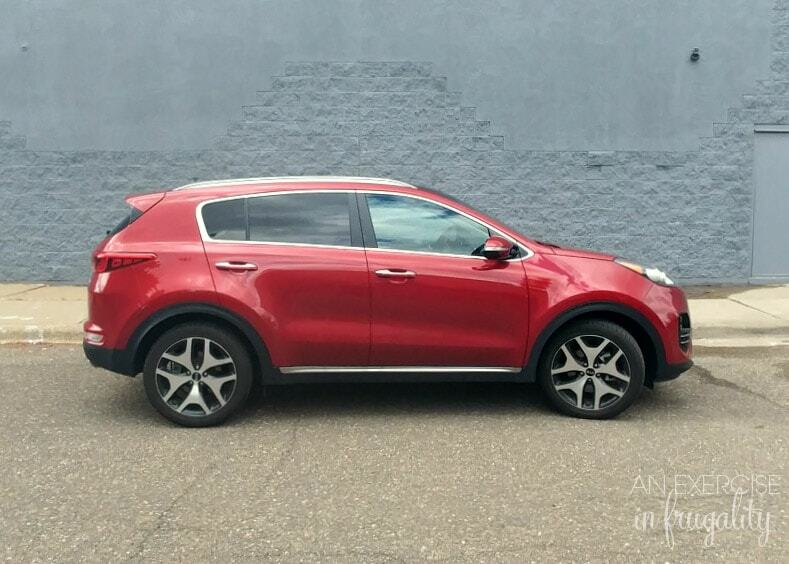 The 2017 Kia Sportage starts at an affordable $22,990. This model prices out around $33,395 with all the bells and whistles. This (as I mentioned) is my first time driving a Kia, but I hope it won’t be my last! I really love the look of the Cadenza, the K-900 and the Optima too, so hopefully I will get to check those out to share with you all in the future. 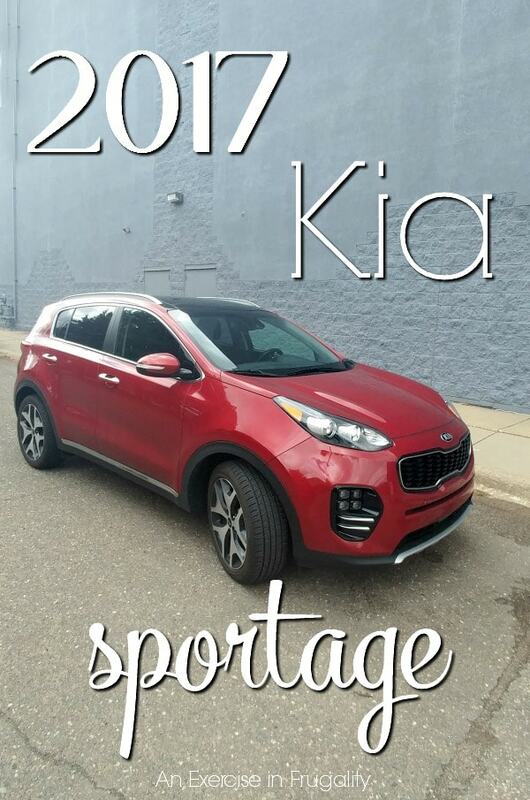 Have you driven a Kia Sportage? What are your thoughts? How was the heater? 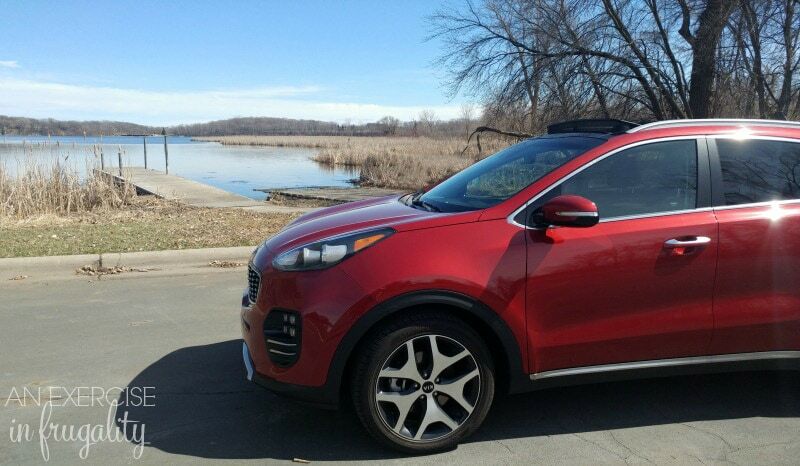 Did you feel like it was strong enough to warm up the Sportage quickly even on a MN cold day? I’ll be honest it wasn’t really heater weather when I had the Sportage so I didn’t get to test that out much BUT it does have heated (and cooled) seats as well as a heated steering wheel so that would be amaaaazing for those cold winter days!